View today's 200 N Dearborn Chicago Loop condos for sale and the best Chicago real estate listings below. 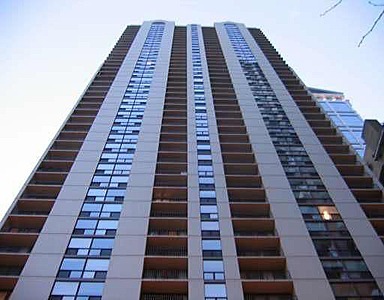 200 N Dearborn is a condo building in Chicago, Illinois that offers a wide range of amenities to fit any lifestyle. Find the newest 200 N Dearborn condos for sale & real estate property listings in 200 N Dearborn below! Browse our Chicago condos, lofts, Chicago penthouses and Chicago highrise condos for sale by location, size or price and let this website be your local real estate guide. We would love to be your Chicago real estate agents and assist in the condo buying process. For more information about 200 N Dearborn properties for sale or to schedule a private condo showing, contact your Chicago Loop real estate experts today. Read more about 200 N Dearborn real estate. Plan to make a condo purchase or sell a condo at 200 N Dearborn? Call 312-810-6693 to reach Guarnero Group Compass now! Our community of 200 N Dearborn real estate agents and agents will help you navigate the Chicago Loop condominium market. Located in the exciting Loop neighborhood, 200 N Dearborn condos in Chicago afford residents both convenience and luxury. Originally constructed in 1989 as apartments, this impressive high-rise building has recently been redeveloped and upgraded into private residential condominiums by American Invsco, one of the nation's premier condominium developers. This 47-story high-rise places residents not only in the center of it all, but at the top of it all too. This high-end achievement blends modern amenities with sophisticated urban living so that residents experience luxury to the fullest. Its pearl-toned concrete facade stands out amongst the slate and grey buildings that surround it, further distinguishing this elegant development from the more cookie-cutter buildings that are its neighbors. 200 N Dearborn condos in Chicago come in a variety of layouts but all offer open floor plans that present residents with an open palette in units that are loft-like. Floor-to-ceiling windows and private balconies provide breathtaking views of the lake, park and Chicago's impressive skyline. Building amenities include an indoor heated pool, a sprawling outdoor sun-deck, a state-of-the-art fitness center, gracious party room and a 24-hour doorman. Residents of 200 N Dearborn also enjoy the convenience of an on-site dry cleaner and convenience store. Uniquely, 200 N Dearborn also features a pedway, a floating glass walkway that connects 200 N Dearborn to a number of facilities, including banks, retail stores, food courts and office buildings. This means that residents need not fend off the brutal Chicago winter, they can simply scoot through the pedway and arrive at their destination without ever stepping outside. The location of 200 N Dearborn is hard to beat. Across the street from the Goodman Theater, 200 N Dearborn is found in the heart of Chicago's Theater Row, providing convenient access to an array of cultural venues. This building is also just across the Chicago River from the world-class shopping that lines Michigan Avenue. Millennium and Grant parks, as well as Lake Michigan, are just minutes east. Plenty of popular restaurants and bars also fill the surrounding streets, as well as River North, the trendy Chicago neighborhood that begins just two blocks north. Public transportation options are many and are just outside the door of 200 N Dearborn, but these won't be necessary for morning commutes since this building is truly walk-to-work. Buying or selling a condo in 200 N Dearborn? Let our team of Chicago Loop real estate agents help you through the purchase of your new 200 N Dearborn property or the sale of your current 200 N Dearborn condo. As local 200 N Dearborn real estate agents and real estate agents, we have expert insider knowledge of the market dynamics unique to the Chicago IL real estate market. We're here to work with you today! Contact Guarnero Group Compass to get more information about buyer or seller representation in 200 N Dearborn. Planning to get involved in the Chicago Loop real estate market? Review our CMA (comparative market analysis) form to quickly see your 200 N Dearborn property evaluation within minutes.